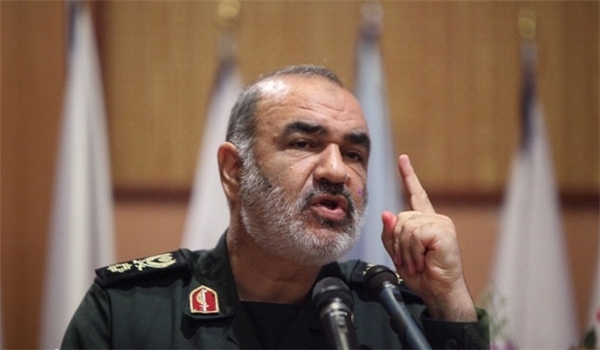 Iran will not withdraw its forces from the region، rejecting US calls to curb Tehran's regional influence، Brigadier-General Hussein Salami، deputy commander of Iran's Revolutionary Guards، said on Monday، according to Reuters. "The enemy can not ask us to leave the region، they have to leave the area... we will help any Muslim anywhere in the world،" he said. "Islamic Iran has reached a major level to protect its borders with its effective military capabilities and will aggressively punish any aggressor،" he said. The United States is likely just weeks away from starting the withdrawal of ground troops from Syria، top U.S. commander overseeing American forces in the Middle East Joseph Votel said on Monday. Noteworthy، top U.S. commander overseeing American forces in the Middle East Joseph Votel said on Monday that his country is likely just weeks away from starting the withdrawal of ground troops from Syria، top U.S. commander overseeing American forces in the Middle East. Votel warned that the exact timing of the withdrawal depends on the situation in Syria، where US-backed fighters are launching a recent attack on ISIS near the Iraqi border. Votel did not speculate about when the withdrawal would be completed.